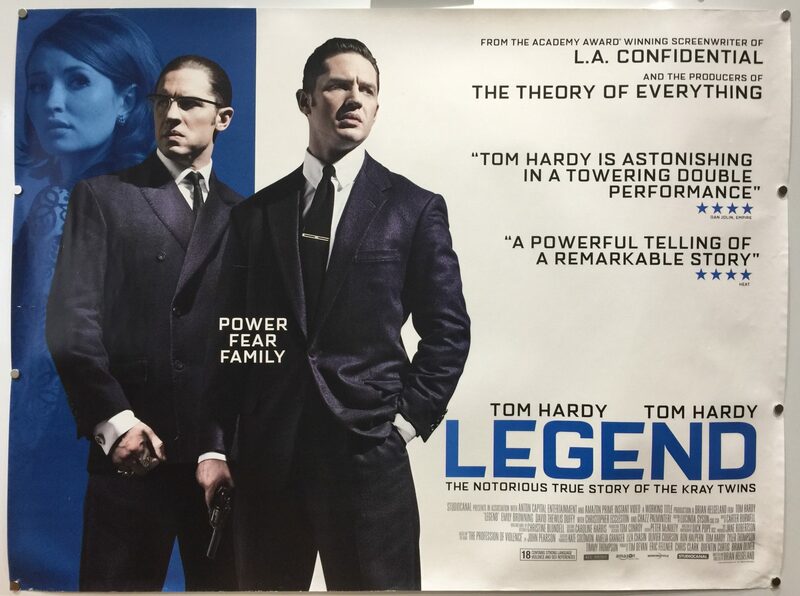 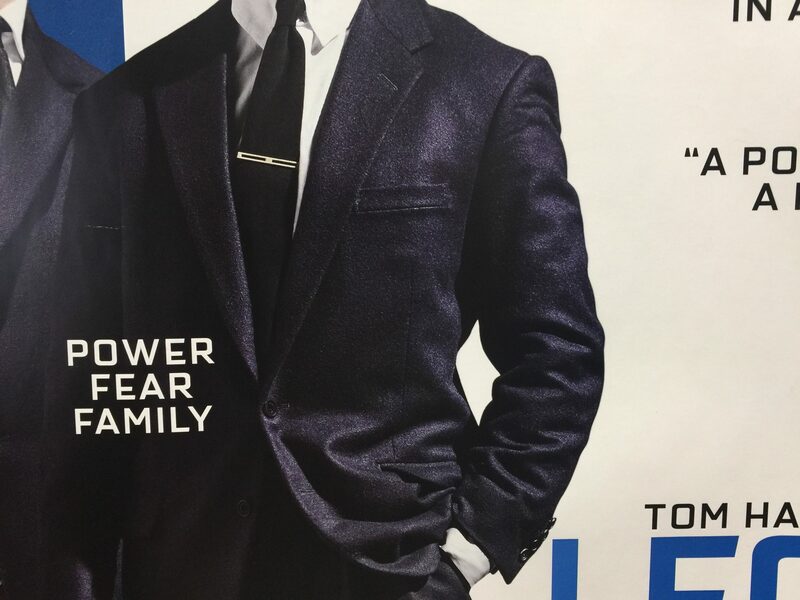 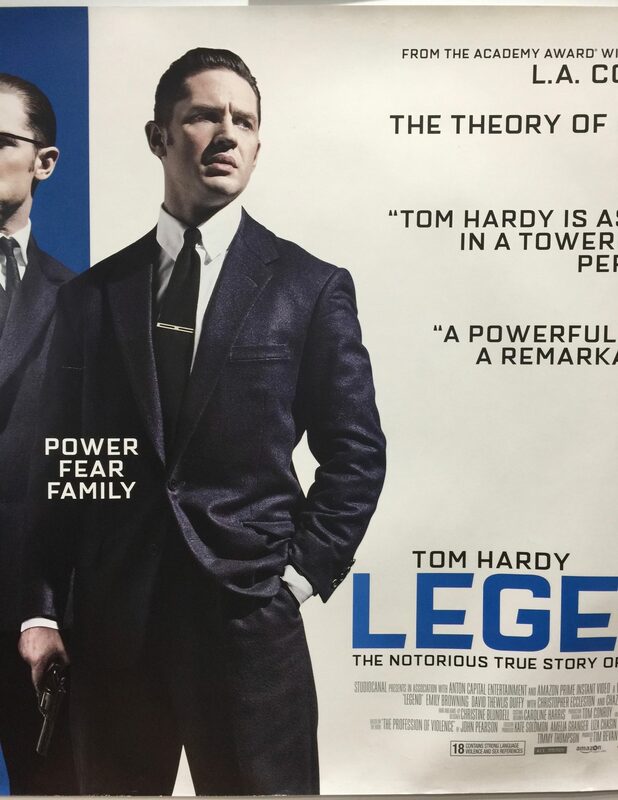 Legend is a 2015 film written and directed by Brian Helgeland, his 5th as director. 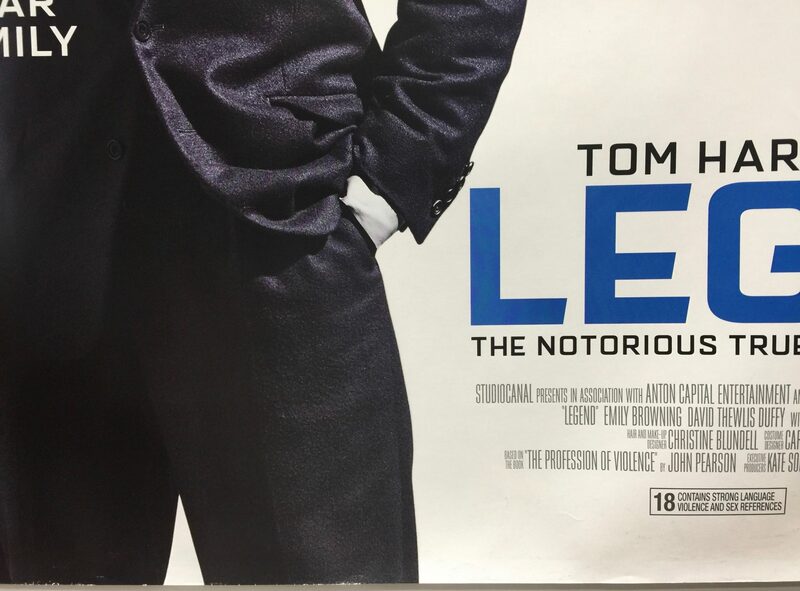 It was produced by Tim Bevan, Eric Fellner, Chris Clark, Quentin Curtis and Brian Oliver. 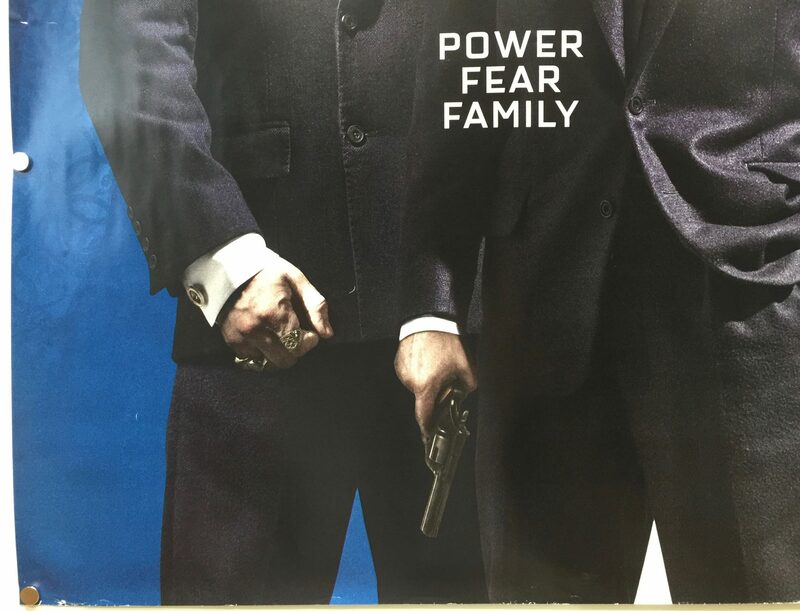 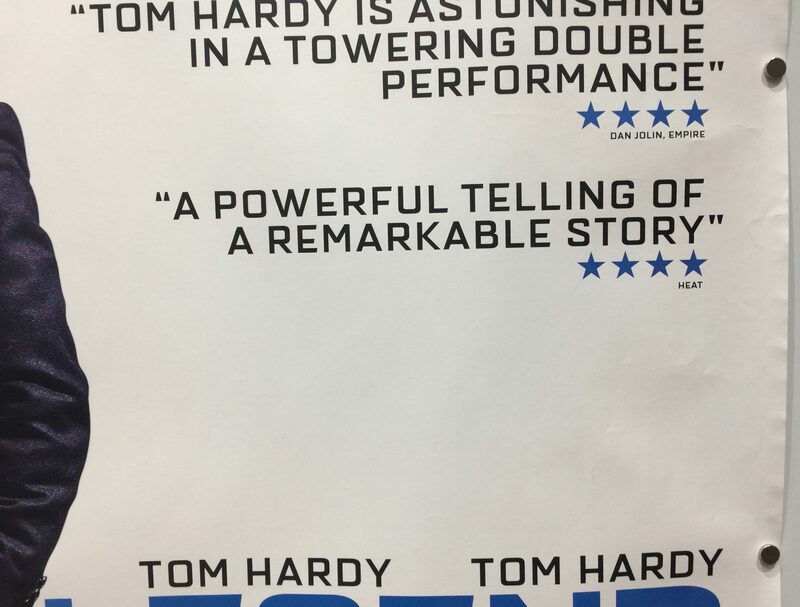 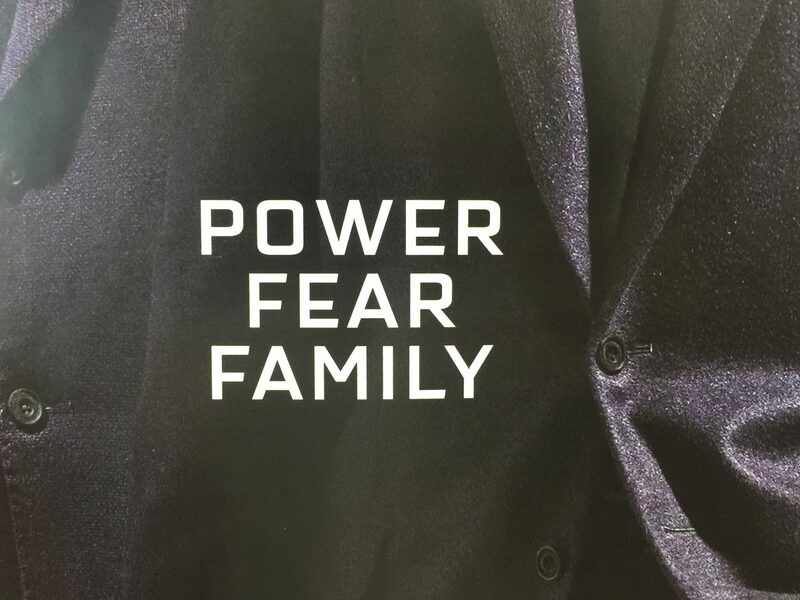 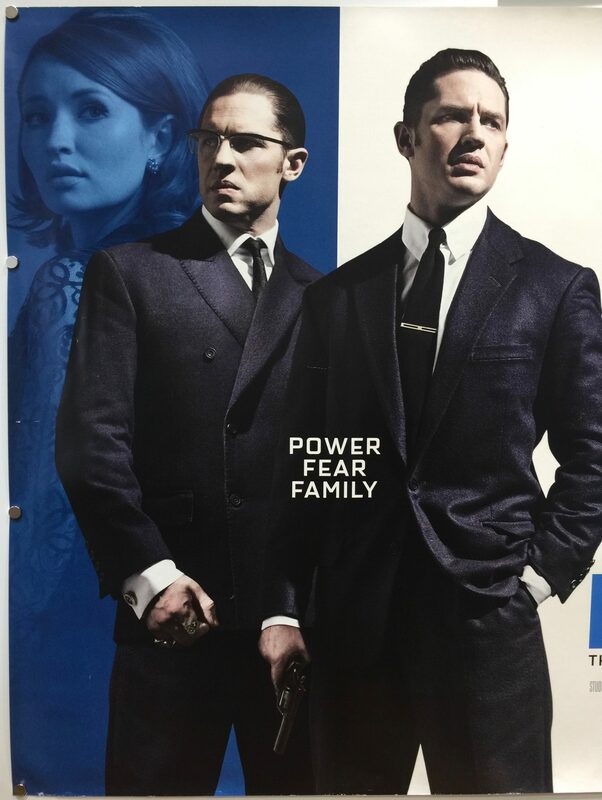 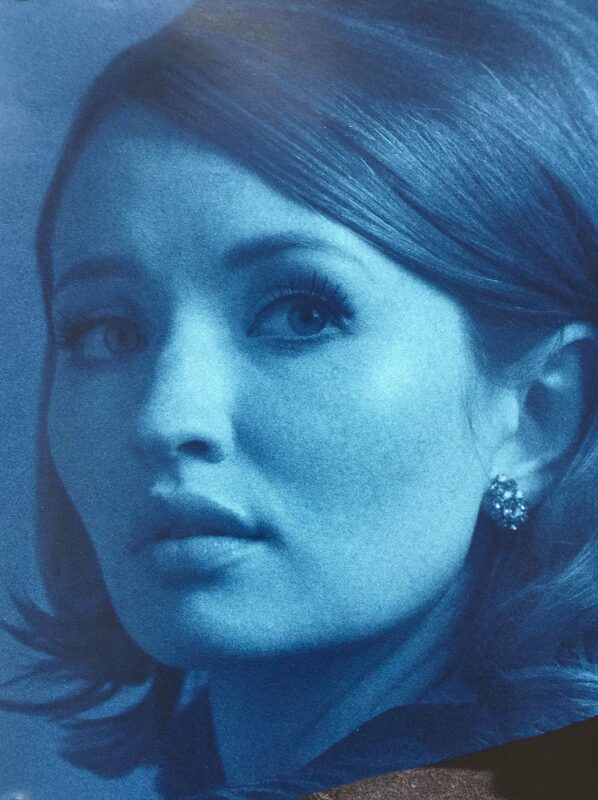 The film stars Tom Hardy, Emily Browning, David Thewlis, Duffy, Christopher Eccleston and Chazz Palminteri. 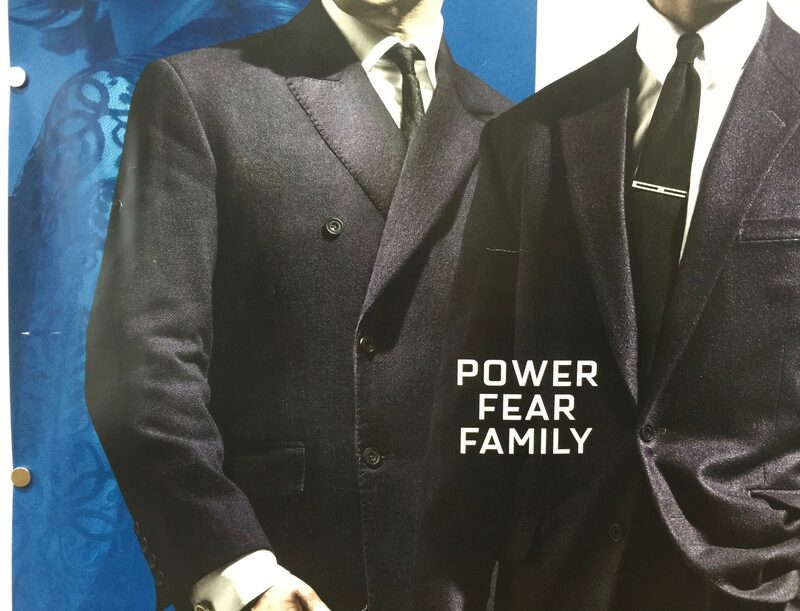 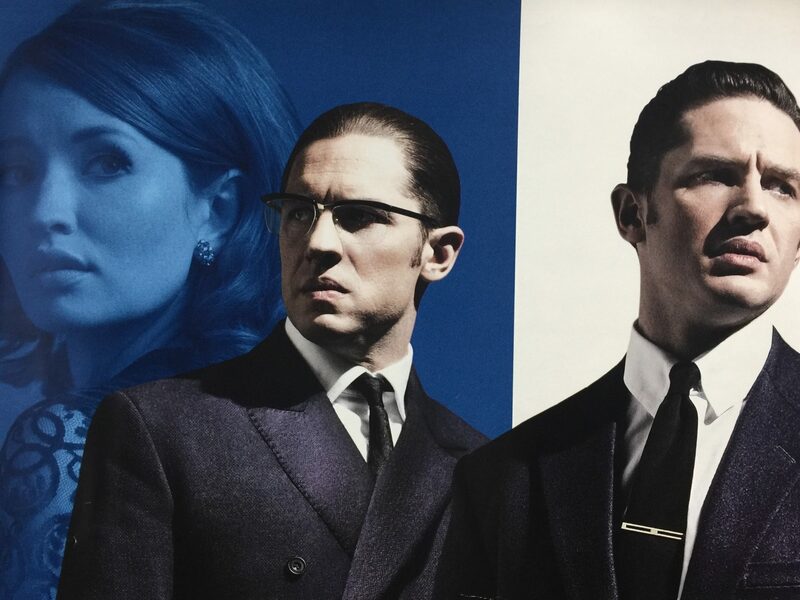 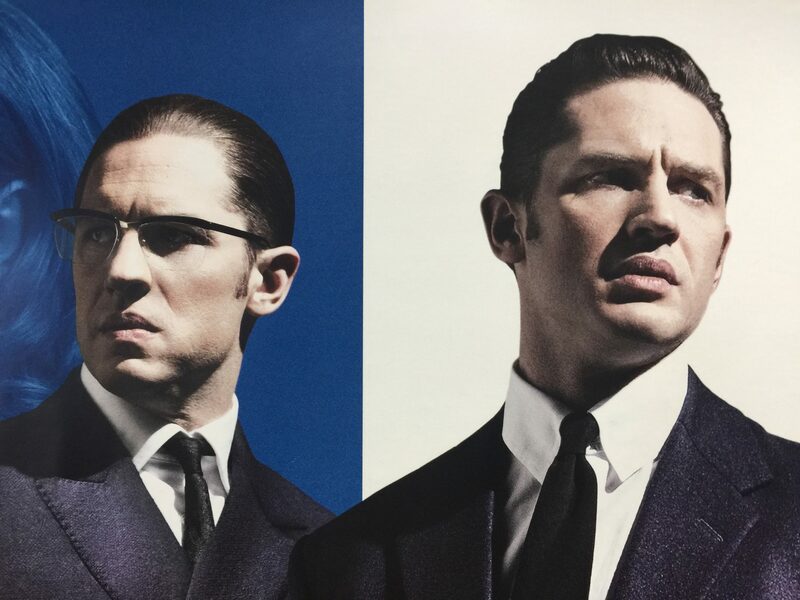 The film is adapted from John Pearson’s book The Profession of Violence: The Rise and Fall of the Kray Twins, which deals with the rise and fall of the Kray twins; the relationship that bound them together, and charts their gruesome career to their eventual downfall and imprisonment for life in 1969. 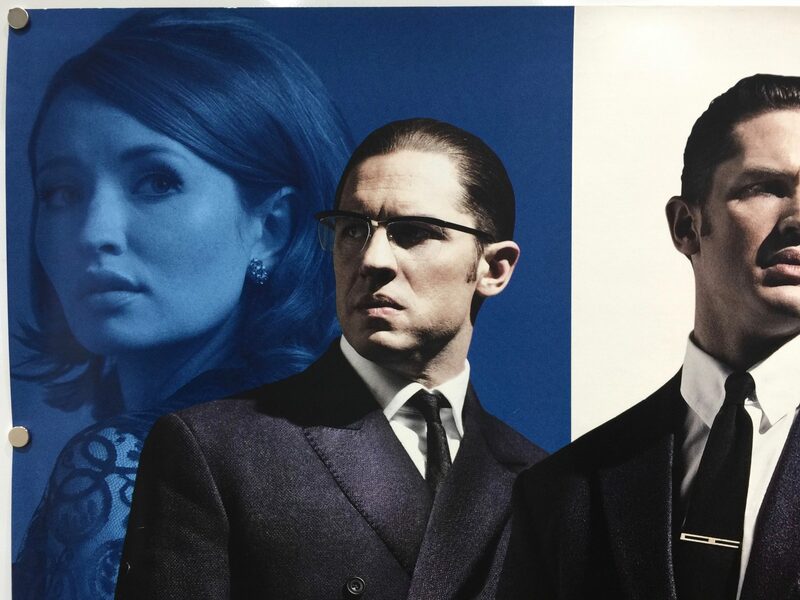 Principle photography took place in London with scenes being filmed Falmouth Road, St Anne’s Limehouse, Windmill Walk area around London Waterloo and Caradoc Street in Greenwich. 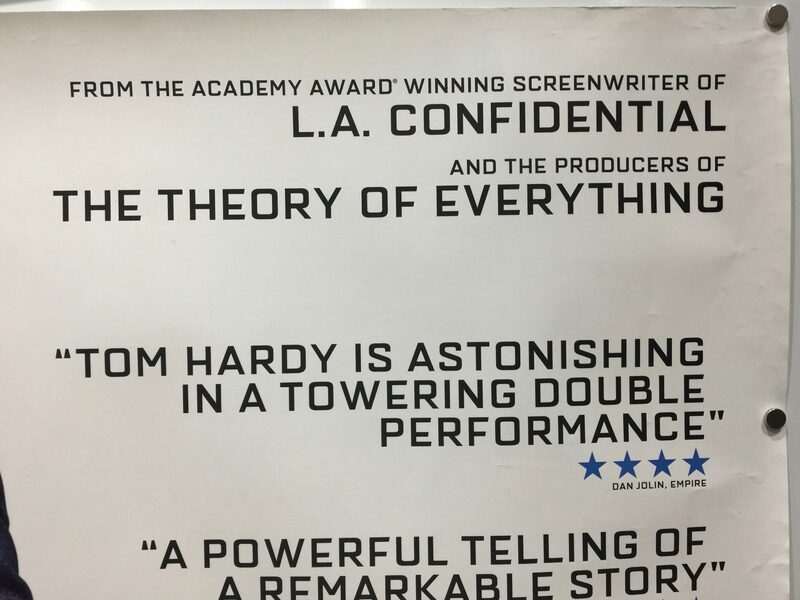 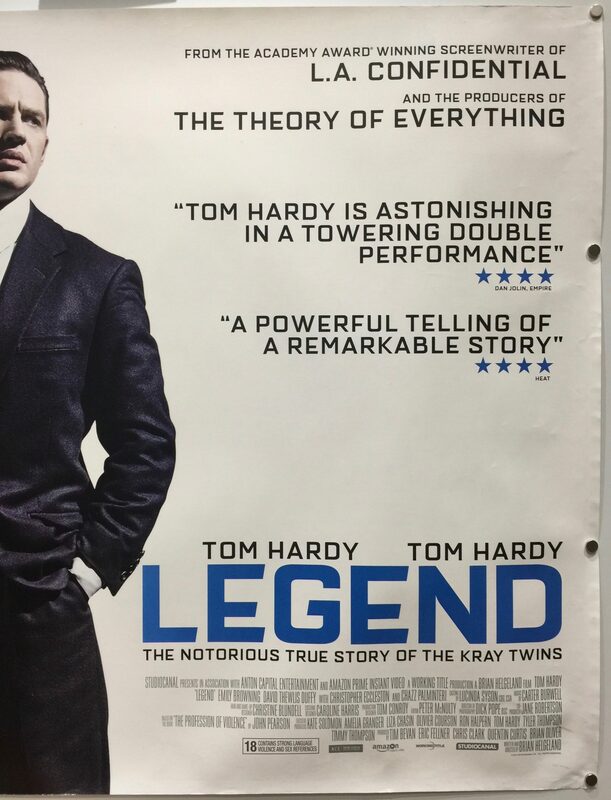 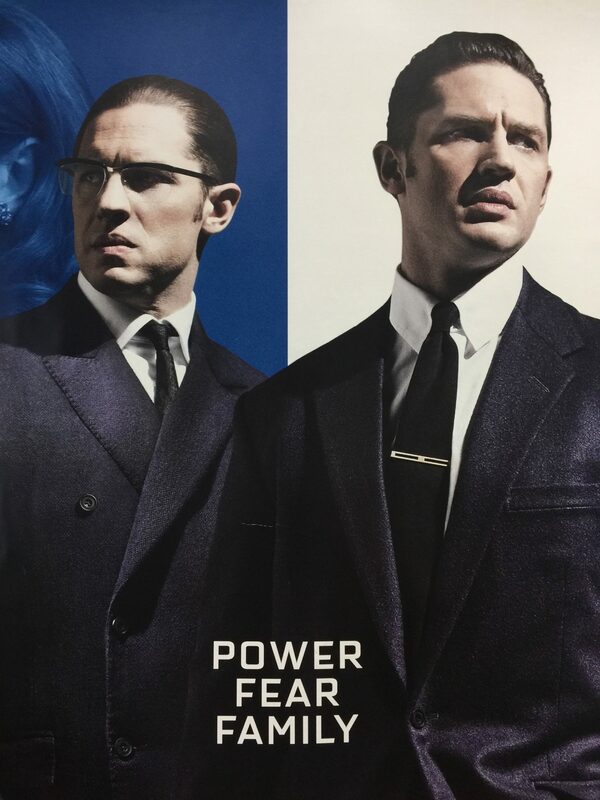 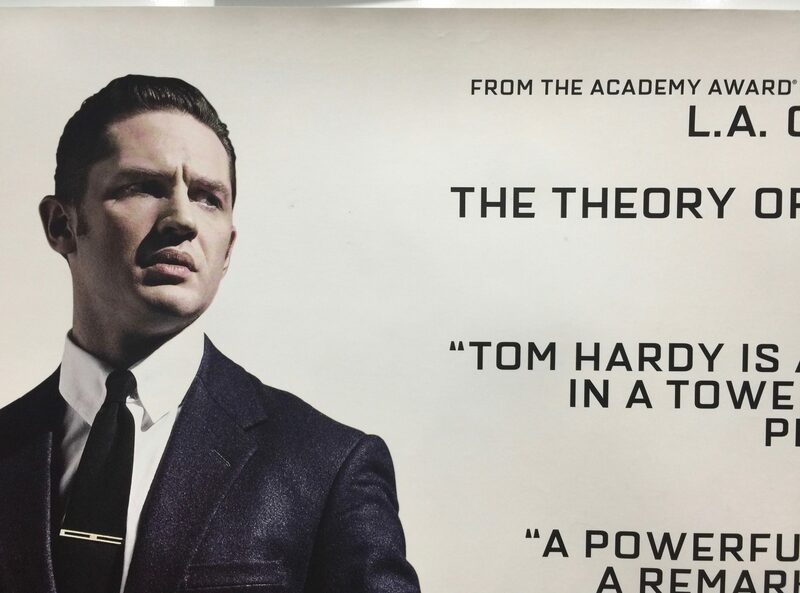 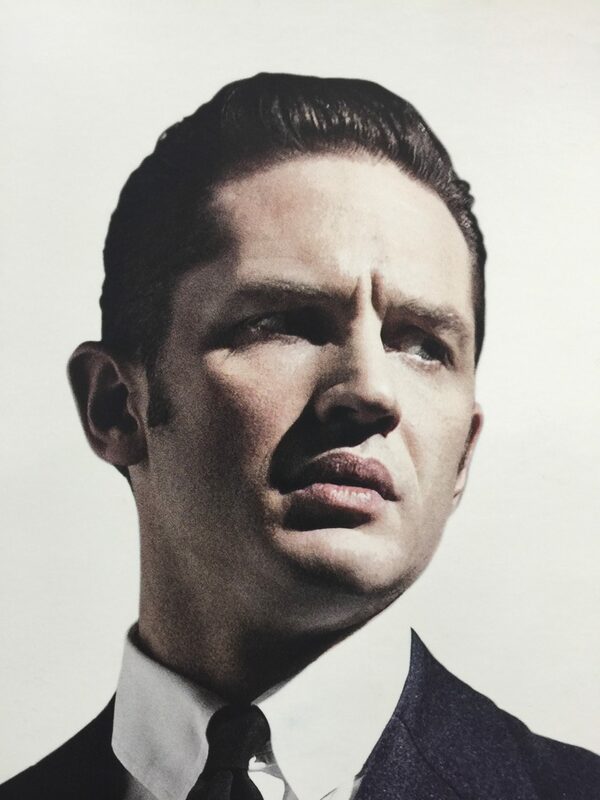 Legend has received mixed reviews from critics with some calling it deeply flawed but praised Tom Hardy for his dual role of the Kray twins. 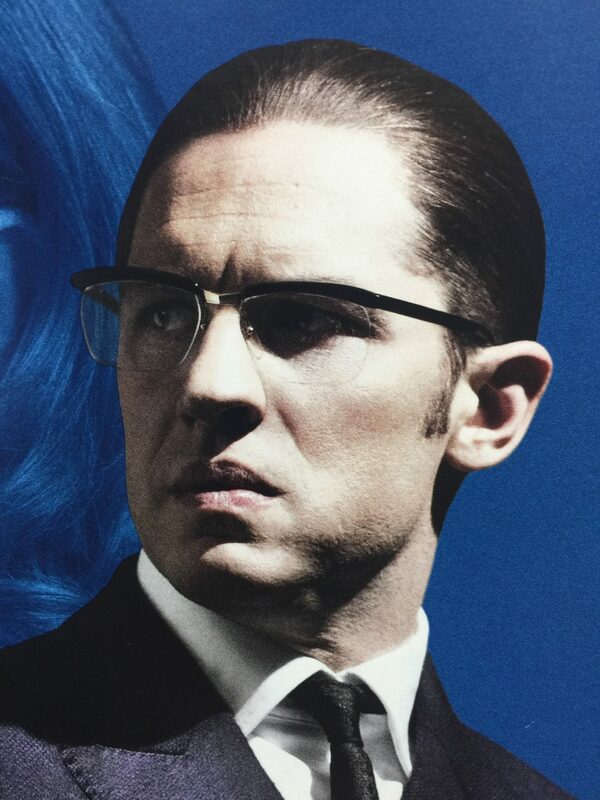 Tom Hardy was nominated and won several minor awards as Best Actor. 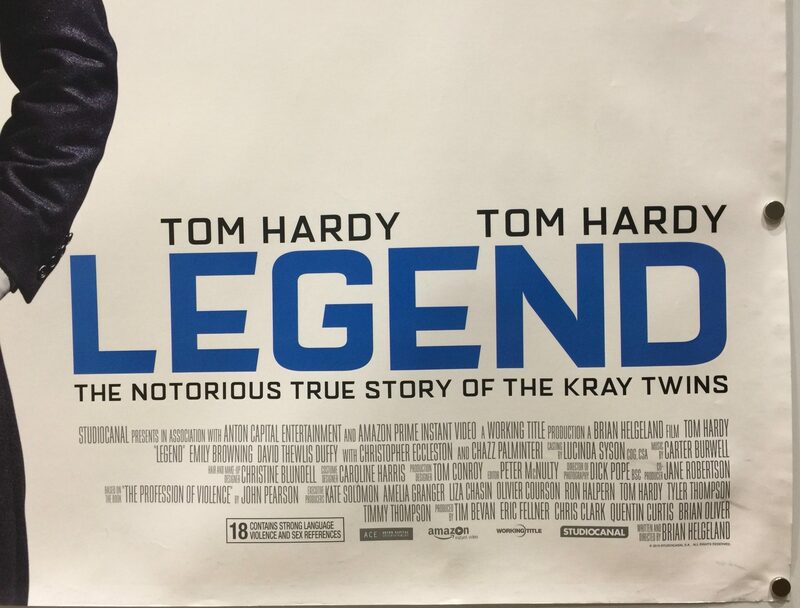 Despite its mixed reviews, Legend was considered to be a box office success, with gross receipts of $43m against a budget of $25m.